Daily Debate: How Useful Did You Find the Temporary Upgrades in Link’s Awakening? Link’s Awakening, the first Game Boy Zelda title, had an interesting mechanic that hasn’t reappeared in the series in quite the same way. On occasion, one could find a temporary upgrade that aided Link in some way. There were the Guardian Acorns, which boosted Link’s defense while one was active. And there were the Pieces of Power, which boosted his attack while one was active. You could find them as drops from most enemies. There were a few times as I was going through a dungeon that I was low on health and hoping to get a Piece of Power or a Guardian Acorn to help me on my way. I’ve never been huge on defense, so I didn’t care too much about Guardian Acorns. Nonetheless I was always glad to get a Piece of Power. I remember that, on at least one occasion, I managed to get a Piece of Power right before a boss fight and killed it surprisingly quickly. However, that also made the fight less interesting, maybe even too easy. Getting past enemies in the overworld, a task that was never terribly difficult, was made extraordinarily easy as well because of these buffs. So what do you think? 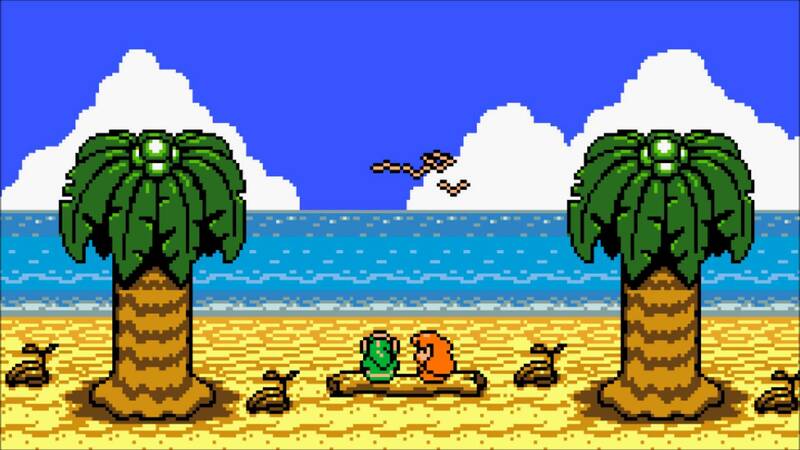 Did you like the occasional temporary upgrades that one could find in Link’s Awakening? Did you find them useful? Did they make things too easy? Leave your thoughts and opinions in the comments below!